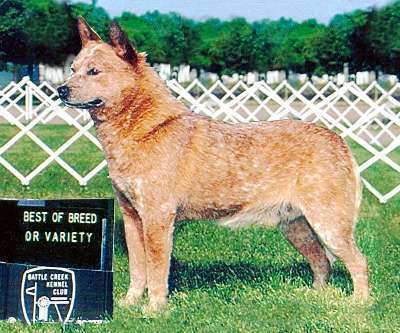 This strikingly handsome red mottled male is the sire of numerous AKC Champions. 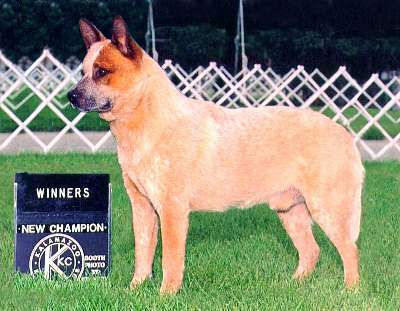 He began his show career at the age of eight years old and is AKC pointed including Best of Breeds. He is a Grandson of Champion Buzzards Red Tubs who is a conformation, herding and working bloodline. He is the sire of “Hemi” pictured below. This handsome young red male completed his AKC Conformation Championship quickly and with multiple Best of Breeds. He is a Great Grandson of Champion Buzzards Red Tubs who is a conformation, herding and working bloodline. He is the son of “Speckles” pictured above. 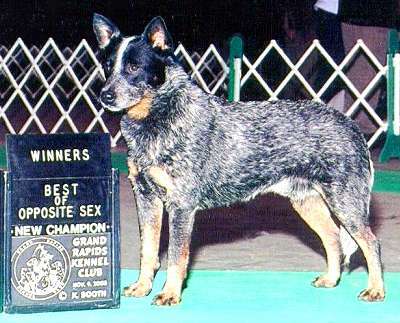 This traditional handsome blue male completed his AKC Championship with minimal showing. He is from Silver Hills Champion conformation and working bloodlines. His offspring are currently showing and earning Best of Breeds. He is the sire of “Shannon” and “Dixie” pictured on the Dames page.